Terracotta Cribs by Antonietta Filangeri. In 2018, Filangeri donated the eight cribs to the Malta Society of Arts. They will now be exhibited at the MSA’s Courtyard. Antonietta Filangeri was born in 1966 in Palermo, Sicily. She comes from an ancient noble family rich in revolutionary characters and having an artistic trait. Antonietta graduated in Architecture from the Università degli Studi di Palermo in 1993. Spiritually tied to her birthplace, Tusa, situated on the Nebrodi coast, her bubbly, expressive personality recalls the explosive bouts of the Mongibello, Mont Gebel, the volcano Etna! She is a poetess and artist and refers to herself as possessing a ‘chaotic’ exuberance. 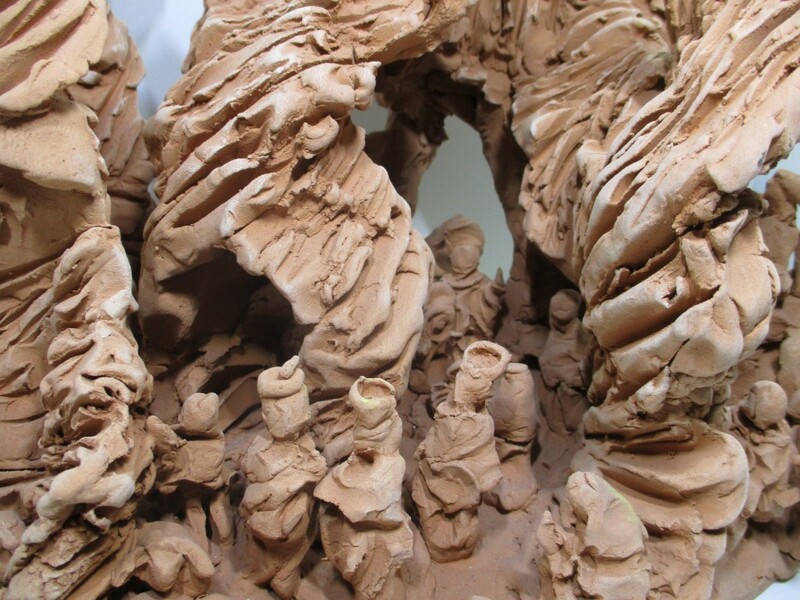 Antonietta is fascinated by the chiaro-oscuro effect of stone which she expresses in her terracotta Marine sculptures, her clay jewellery and, especially, in her Nativity scenes which are set within contorted masses of ‘rock’ moulded out of terracotta. These Presepi recall the Mistral wind eroding the Nebrodi mountains forming mysterious perspectives of light and shadow reaching up to the sky.